For a dumpling lover, the question ‘shall we just bring you all the dumplings on the menu?’is music to my ears. 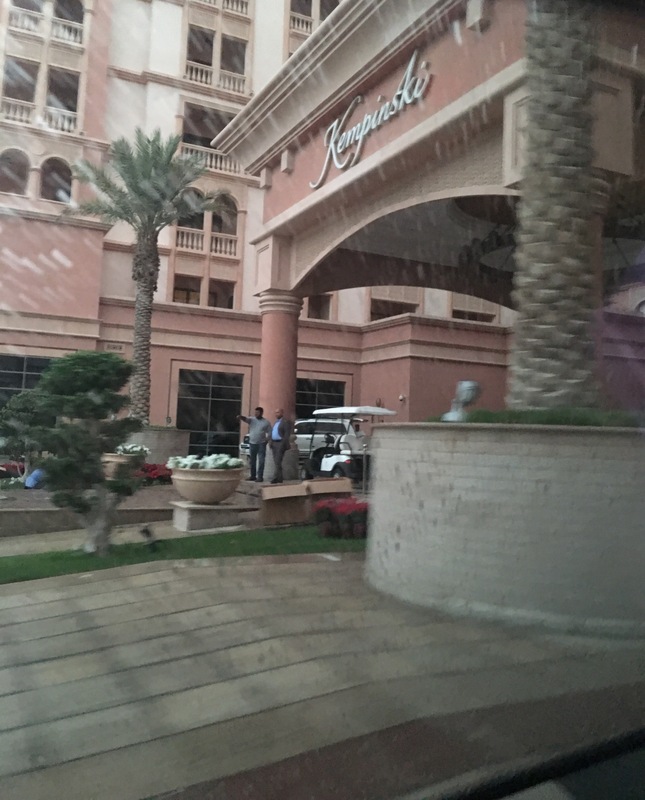 Yesterday was our first visit to Nozomi and we arrived rather late and a bit wet due to the heavy rains that had hit Doha. 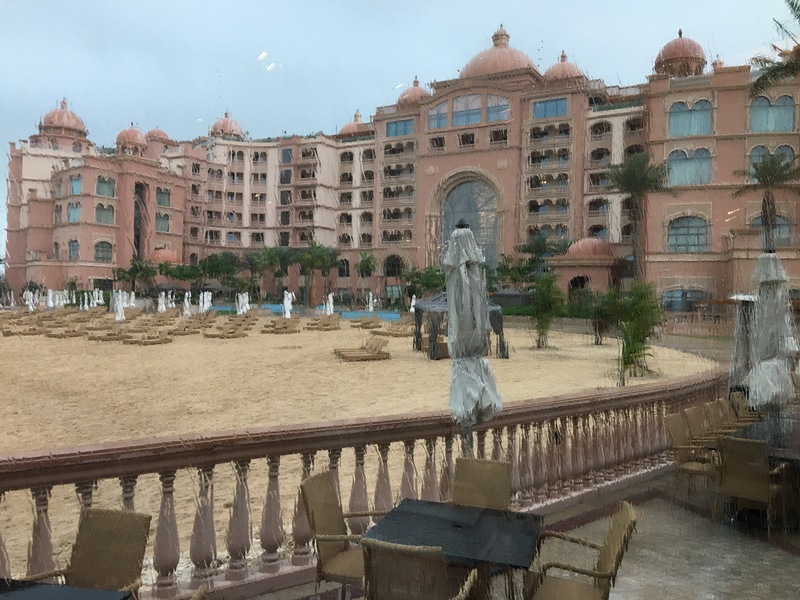 For me dumplings are a bit of a comfort food, so it was nice to sit inside a lovely restaurant with wonderful views over the Arabian Gulf watching the rain fall. 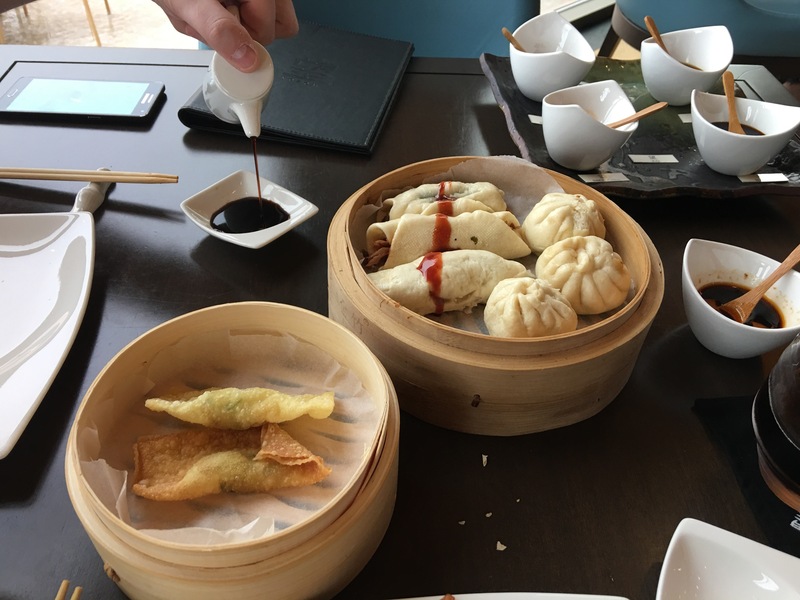 The Saturday brunch is a very simple concept; on your table there are a selection of sauces and you chose which dumplings / buns you would like. You can then reorder as many times as you wish. 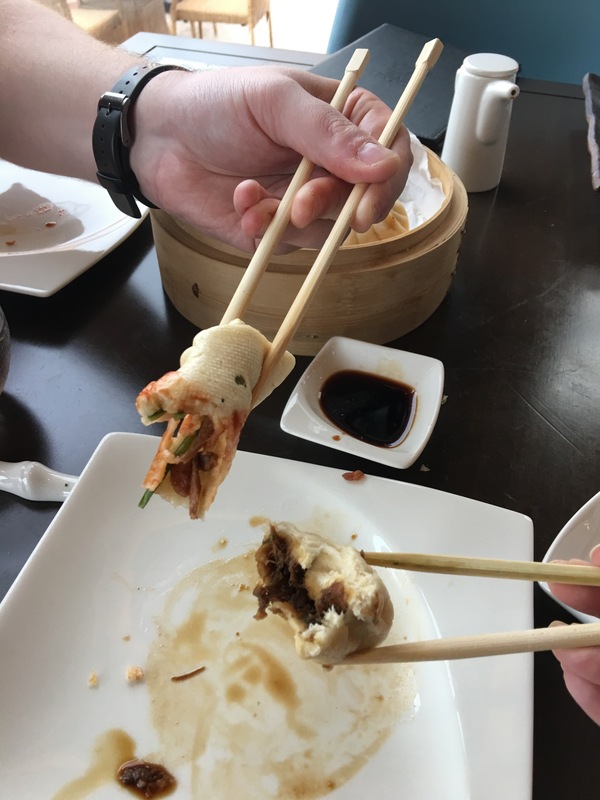 The dumplings and buns are served in 3’s and brought out in stages with each dish expertly explained by the wonderful staff. 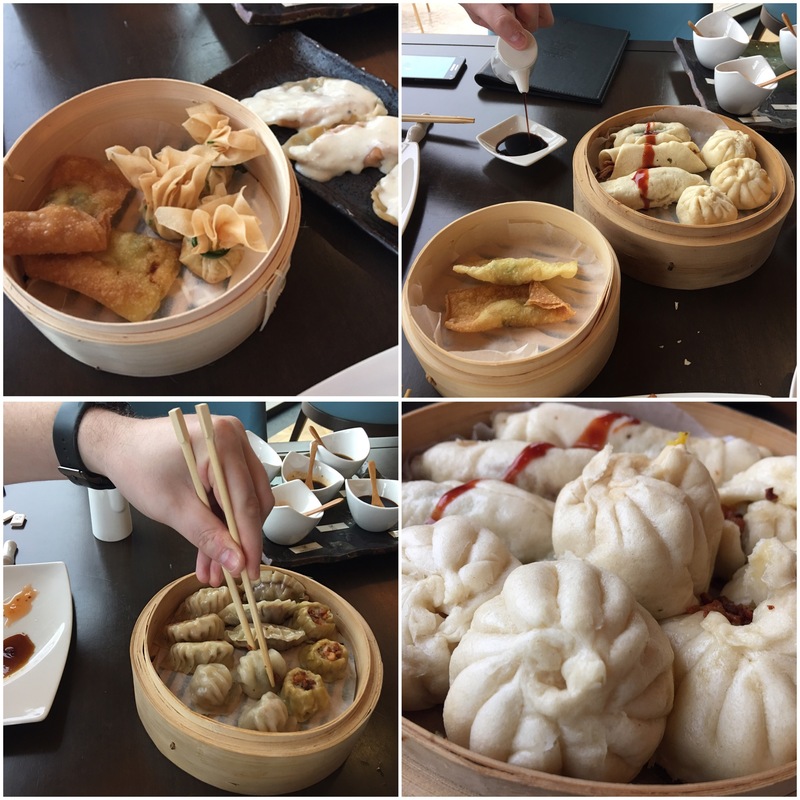 We decided to try all of the seafood and meat dumplings then choose our favourites. Each dish was freshly cooked to order and were delicious. 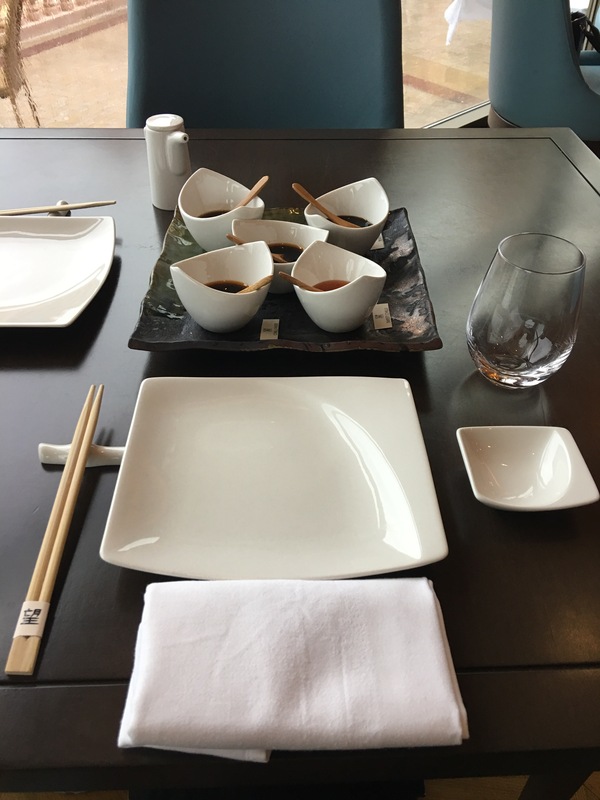 Our favourite dishes were the sweet Kobe beef bun which was like pulled beef with a hint of ginger, the duck rolls with spring vegetables and the deep-fried black cod dumplings which were a perfect balance of flavor with a great hit of salt. 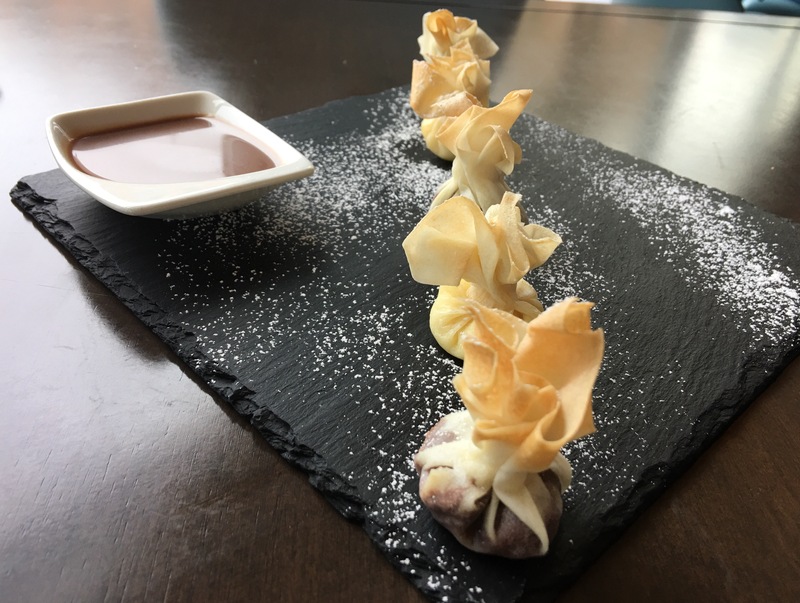 There are three choices of sweet dumplings for dessert. We opted for the white and milk chocolate with a chocolate orange dipping sauce. They looked very festive when they arrived and each one was a parcel of chocolate heaven and devoured in one bite. We enviously watched another table eating the berry and apple dumplings and we decided we had room for more so ordered those too. 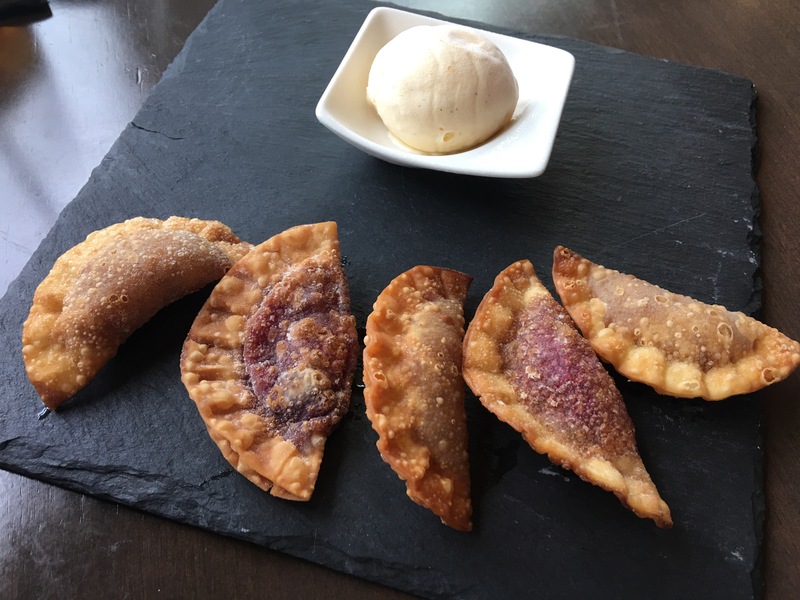 Little bite sized, deep-fried, fruity dumplings with a cool vanilla ice cream. Perfect. We absolutely loved our first visit to Nozomi. In a city where customer service is sometimes a letdown, the service here was spot on. The staff were warm, friendly and knowledgeable so credit to them. If you love dumplings, good service and a lovely view you don’t want to miss this. I enjoyed it so much I would happily drive to the Pearl on a Saturday to go again and that for me is saying something! The dumplings look really good! I would want to try the the beef one! Considering I paid 30QR for 3 really poor dumplings on Thursday this is a great deal. You won’t believe me, but I’ve never had dumplings before… But now I want to try them out. Which one would you suggest for a dumpling-virgin? If you’ve never had them before this lunch is a great idea because you can try them all for 120QR. I liked the fried ones especially the black cod and the shrimp with asparagus. Once you go you’ll be hooked! This is a treat!!! 😀 As you mentioned earlier in insta, I should soon visit this place..
Let me know what you think if you go. Love hearing other people’s opinions! Oh my dumplings! I want all of it. What a great idea to do brunch on a Saturday. Thanks Khansa. It’d be nice to go back when it’s not raining and sit on the terrace outside. Dumplings and rain, picture perfect! Your photos are mouthwatering. Must put this on my list asap. Thanks, I only use my camera phone! Those chocolate parcels sent me over the edge! 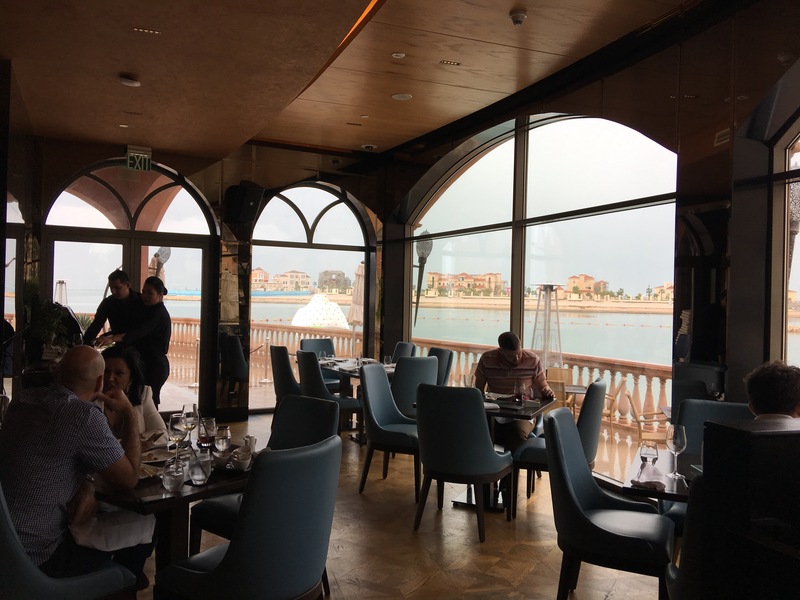 For 130QR – What a good deal! Yum! Put in on your list for when you’re back! Most definitely. Back in a few days to do more eating. Yay!